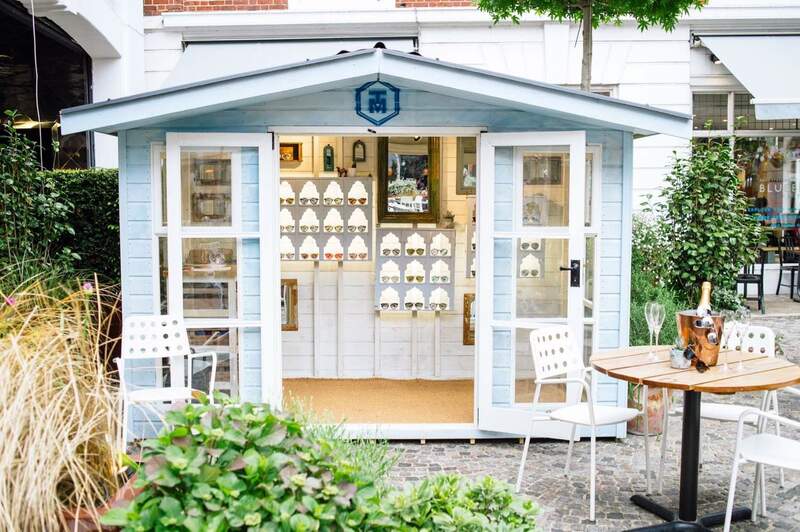 A Winchester Corner Shed with a summerhouse look is the ideal way to optimize a corner of your garden without leaving spaces. 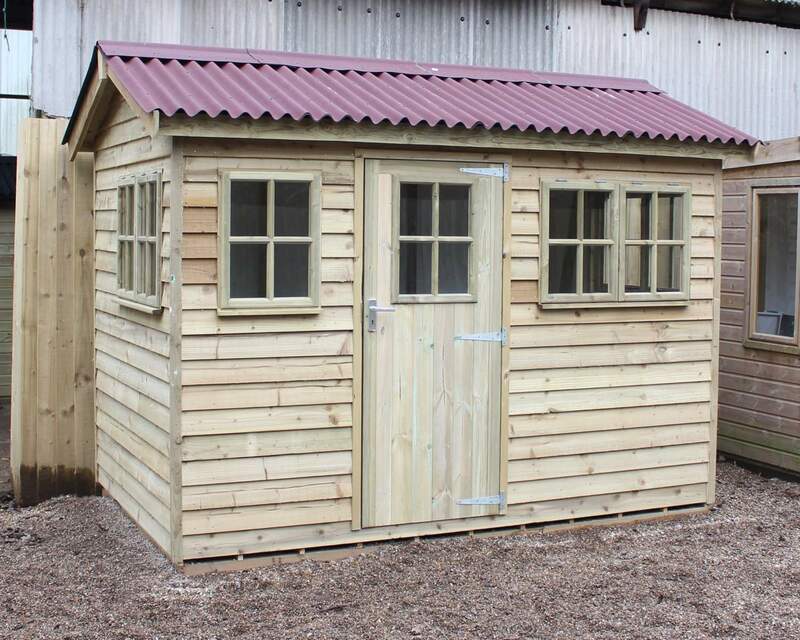 This Corner Shed summerhouse is manufactured using 100% pressure treated timber for low maintenance, and a T & G Roof and Floor is also included within the price. 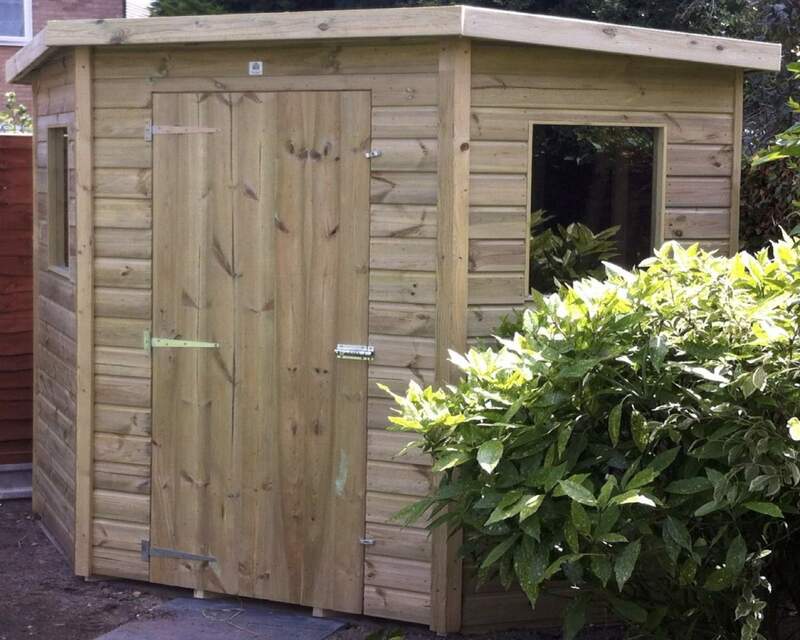 You can compliment your Corner Shed by adding our ever popular options to make your Corner Shed unique for your garden and complete utilization. 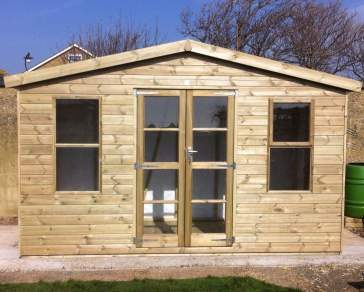 The Corner shed is available in various sizes up to 10 x 10.